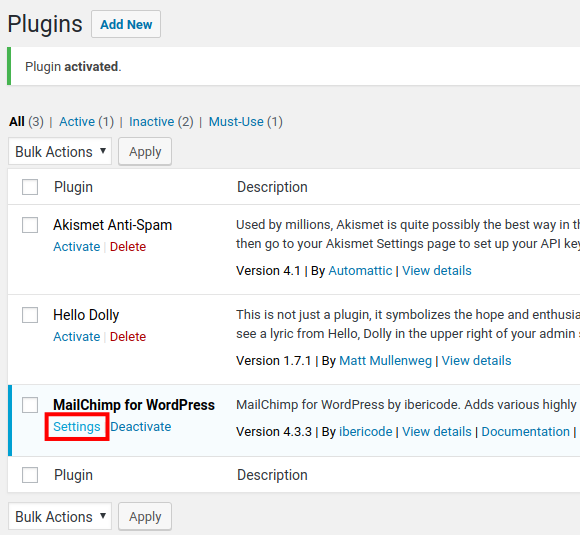 In this first guide of our series on MailChimp for WordPress, we will show you how to install the plugin. You can then utilize the email marketing tools right from your Dashboard. 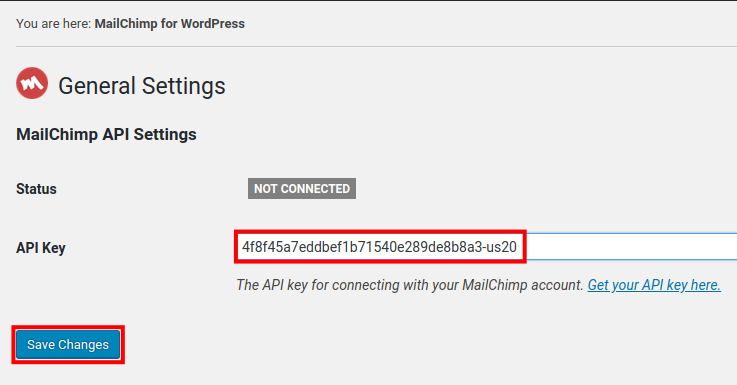 First, you must install the plugin, then connect to MailChimp by adding your API Key. **Note: You must create a free MailChimp account and get your MailChimp API Key before you can complete this guide. Type 'mailchimp' in the search field. You will see "MailChimp for WordPress" by ibericode listed, click the Install Now button. Once it has been installed, click the Activate button. It will then be listed on the Plugins page, click the Settings link. 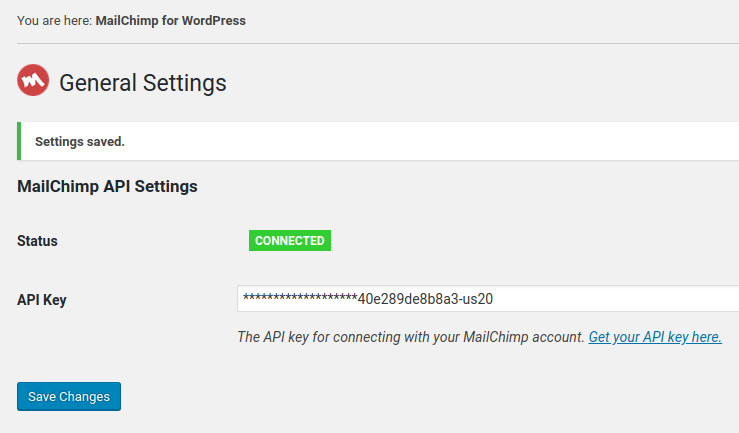 Enter your MailChimp API Key then click the Save Changes button. You will then see a "Settings saved" message and the Status will show as "Connected." 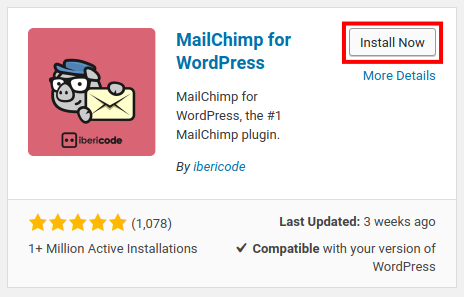 Congratulations, now you know how to install MailChimp for WordPress. Now, you can start using MailChimp's tools right in your Admin Dashboard.